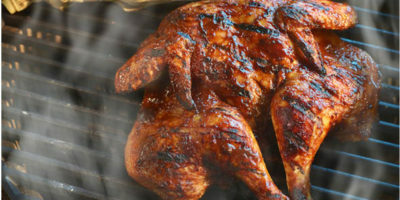 Organic Better Than Bouillon® Roasted Chicken Base is made with roasted chicken. 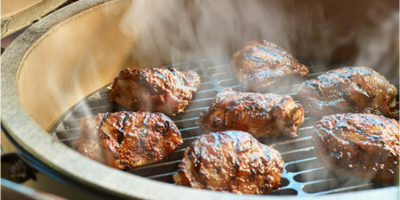 This gives it a richer, more robust flavor than ordinary bouillons or soup stocks. Better Than Bouillon blendable bases easily spoon right out of the jar and let you add as much, or as little, flavor as desired. 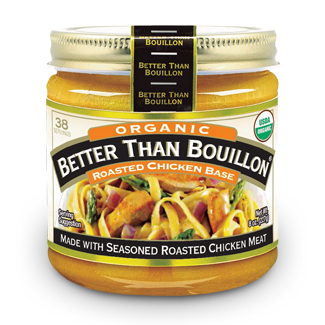 From marinades, glazes and vegetables to soups, sides and slow cooker dishes, Organic Better Than Bouillon Roasted Chicken Base adds flavor to all your favorite dishes. 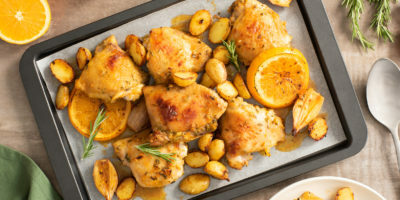 ROASTED CHICKEN MEAT WITH NATURAL JUICES*, SALT, CANE SUGAR*, MALTODEXTRIN*, FLAVORING*, YEAST EXTRACT, POTATO STARCH*, TURMERIC*, NATURAL FLAVOR*. * CERTIFIED ORGANIC BY QAI.